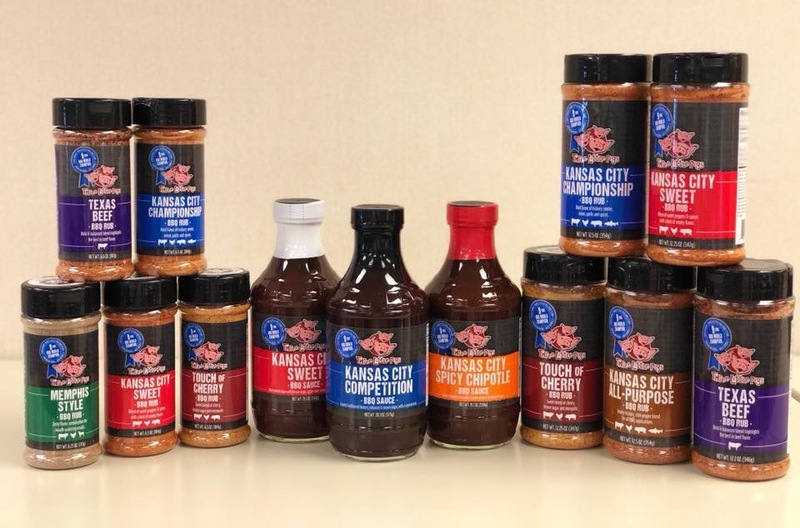 Developed by Kansas City native, Chris Marks, of the nationally-recognized Three Little Pigs BBQ Competition Team, We are proud to offer gourmet style Three Little Pigs BBQ sauces and seasonings/rubs for all your meat and vegetable dishes. Held every October in Kansas City, The American Royal BBQ Cook-Off Competition is touted as the largest BBQ cooking event in the world. The Three Little Pigs Huff and Puff Competition team has won the American Royal BBQ Cook-off an amazing eight times; only one other team has won more than once, and it has won just twice! The Three Little Pigs also has won the prestigious Jack Daniels BBQ World Championship Sauce Contest and over 600 other individual BBQ awards. We think that the seasonings/rubs have had an impact on their success and that you will enjoy these great tastes too! You can now enjoy the BBQ rubs developed for competition BBQ contestants by one of the most prolific winners of BBQ contests on your own BBQ championship dishes! Three Little Pig’s secret blends of herbs and spices has captured state, regional, national and world BBQ grand championship crowns across North America, including winning the Grand Champion at the American Royal BBQ Contest in Kansas City 8 times. These versatile BBQ rubs and BBQ sauces are the perfect compliment for beef, poultry, pork, and fish. As a dry marinade, just liberally sprinkle the BBQ rubs on meats before cooking. Use theBBQ sauces as a topping or dip as you consume the meats. These BBQ rubs and BBQ sauces are also excellent in vegetable dishes and casseroles! We’ve even heard from one enthusiast who loves the Sweet Sauce on raw carrots, celery, broccoli, and cauliflower!